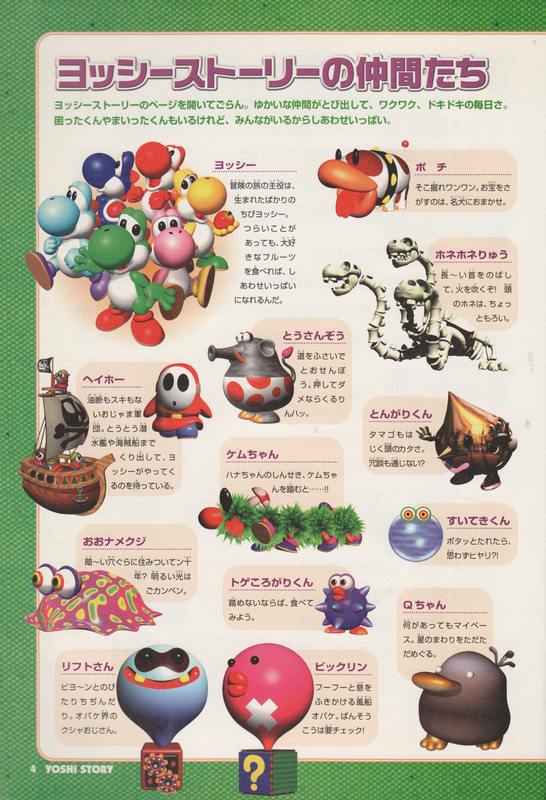 Air Bags are giant, pink balloons that appear out of Mystery Crates in the game Yoshi's Story. An Air Bag can be revealed by shooting an egg at an unmovable crate. Air Bags attack by blowing air at Yoshi. To defeat one, Yoshi must throw an egg at the bandages on its belly. Air quickly rushes out of the Air Bag, which shrinks until it disappears, leaving a Melon. Air Bags only appear in the level Surprise!!. 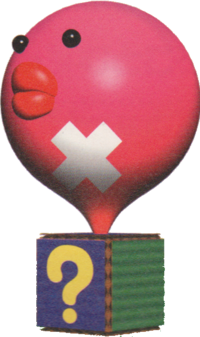 An Air Bag also appears in the 19th volume of the Super Mario-Kun manga as an obstacle protecting a Special Heart. Red Yoshi defeats it when one of his shoes accidentally flies off and impacts the Air Bag's bandage. Air Bag's name is based on the real-life Airbag, found in vehicles to prevent injury during a collision. Bikkurin From 「びっくり」 (bikkuri), a frightful surprise. This page was last edited on September 9, 2018, at 18:24.